Comfortable, warm with padding in the right places, they are not waterproof but don't claim to be like some others do. Seem to be well made and look like they will last. 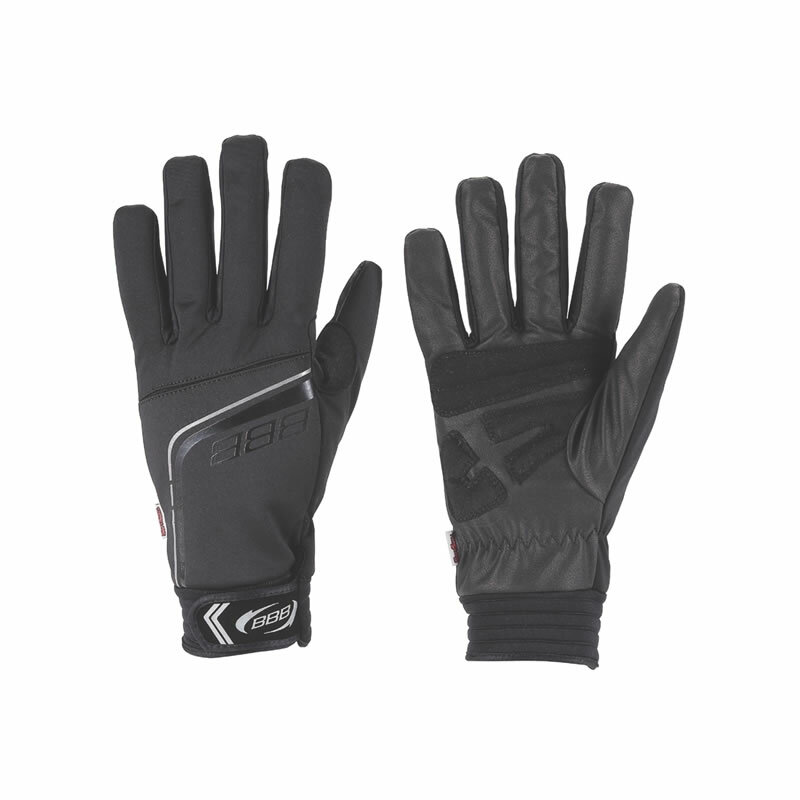 A good amount of padding gives these gloves a thick and warm feel whilst still able to change gear and brake. Good value mid-weight gloves. I worry that the fake leather of the palm side will become brittle, though the pads are durable and well placed. Fits pretty true. Just what the doctor ordered for his cold hands. Fit good and comfortable. Took about two weeks to ship from UK to Canada, but not problems with that. Haven't been riding a lot with them since it's currently -20 out here, which even these gloves don't compensate for, but then I wasn't expecting them to. I'm anticipating they"ll be allright anywhere up to -10 actually, but my hands do tend to warm up when I work out. In summary: great gloves so far. Well made comfortable gloves with the useful finger tip pads. I am not sure what temperature these gloves are suppose to keep your fingers warm at but 32F is a no go. I am very comfortable at about 36F. I have not tried them in the rain yet very soon though. I am fortunate that here in northern California we do not have many days below 36. This gloves may not look or feel like your heavy winter glove but were perfect when racing as your hands still retain there nimberbility and work on touch screens! I went for a ride just for testing these. They perform fairly well at -1C. Also they are not so thick so it's easy to ride with them.